A fifth-generation Pacific Northwest Native, Chelsey’s roots run deep. Her ancestors built the first bungalow in Portland, started the tradition “Lights on Peacock Lane,” and built the oldest cabin on Mountain Hood, a historic landmark that still stands today. She loves sharing the magic of the PNW region with her clients and is dually licensed in both Oregon and Washington. 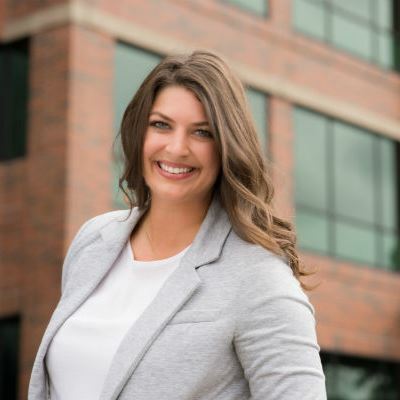 Chelsey brings more than a decade of marketing experience to the table, previously working at largest advertising agency in the country representing global brands like ULTA Beauty and MetroPCS, to name a few. She incorporates this marketing expertise into all of her listing consultations, making sure her client’s homes are represented in a strategic way. On the buying side, she has helped her clients get homes under challenging circumstances and multiple offer situations with her keen negotiation and communication skills. Her local knowledge of the area is a perfect match for those looking to learn more about the city and her ability to place clients in the ideal neighborhood for their needs is what ultimately jump-started her career. Chelsey integrates her genuine presence, empathy, creativity, and passion into this work. She fully invests in her relationships with clients, and deeply honors the trust and bond that occurs during and after the home buying and selling process. She strives to handle each transaction with grace, integrity and honesty above anything else. When she’s not helping someone with real estate, Chelsey is mastering yoga poses as a certified yoga instructor, exploring backpacking trails, and spending time with her cat, Tuna.